120 is a 1997 Peterbilt with pearl and gold striping. It has a 500 cummins engine and a 10 speed transmission. 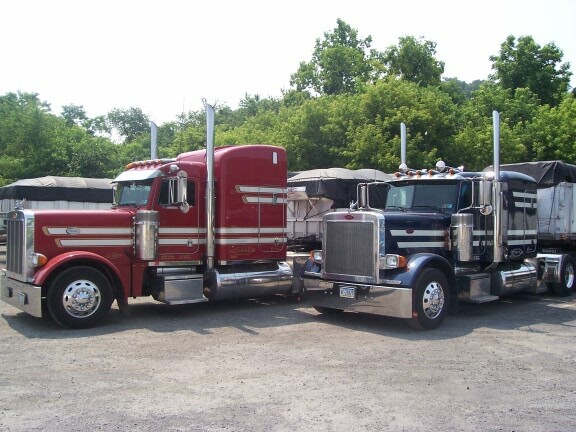 126 is a blue 2005 Peterbilt with white and dark grey stripes. It has a 550 prus Cat engine and an 18 speed transmission.